How well you take care of your furniture determines how long you’ll be able to enjoy it. Regularly wiping and cleaning furniture surfaces also keeps your house clean and looking good. However, while wood can be wiped or polished, the fabric on your furniture is another matter. The upholstery of your sofas and arm chairs with its textured surface can become covered with dust and dirt, which slowly works its way under the surface. This is not only unsightly and uncomfortable, but leads to an unhealthy situation if the bacteria, mites and other small organisms start breeding. Carpet Cleaning Newham provides cleaning and reconditioning treatments for furniture upholstery and carpeting, making them last longer and look more beautiful. Cleaning and treating wooden furniture or floors has already become second nature to homeowners, but fabrics like upholstery and carpets are usually not cleaned quite as thoroughly. The main reason for this is that professional cleaning is the only effective way to clean and maintain the optimal condition of carpet fibres and upholstery, and people tend to believe that these services are very costly. At Carpet Cleaning Newham, our mission is to bring professional upholstery maintenance services to as many Newham homes as possible. We’re doing this by offering high quality, effective services at reasonable prices. 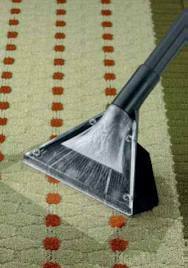 With Carpet Cleaning Newham, you can maintain the condition of your furniture upholstery for as long as possible. This isn’t just a way to keep your home clean and presentable, but is also a smart way to save money. *The costs above are valid about Newham. They include the required labour (cleaning hours). If additional time is needed, then supplementary costs will be applied. Minimum charge applies. Quotes over the phone are formed based on the supplied information. 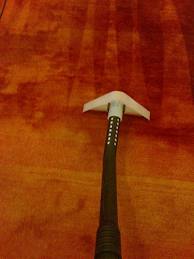 Carpet Cleaning Newham’s ‘first aid’ kit for furniture upholstery combines steam cleaning and stain removal treatment. We’ve been providing these services for years, and our customer testimonials are proof that your furniture is in good hands. All Carpet Cleaning Newham cleaning specialists have undergone comprehensive training, and will skillfully clean and recondition both natural and manmade upholstery types. With advanced equipment and powerful detergents, employed by practiced specialists, Carpet Cleaning Newham’s services are the best way to make sure that your furniture upholstery always looks perfect, and the reconditioning properties of our detergents help it stay that way longer. Regular steam cleaning has many benefits for your furniture upholstery, with the removal of bacteria and dirt being the most important, especially for homes with young children. With our services, your efforts to maintain a hygienic environment can now be extended to the upholstery of the sofas and chairs that your family, study, relax and play on. Many Carpet Cleaning Newham clients choose to regularly steam clean their dining room chair upholstery, making sure that dirt and bits of food are not a part of your family’s meal times. We can also help with specific problems, for example, that nasty stain on your living room sofa. With tried-and-tested methods of dealing with most common household stains, our cleaning specialists will save you the high cost of installing new upholstery. Call us today and ask about our affordable prices. We’re sure you’ll be pleasantly surprised.